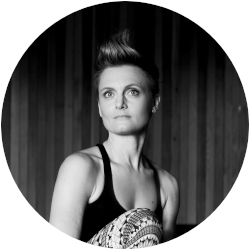 She has studied with Tom Myers (Anatomy Trains), Noah Maze, Amy Ippolitti, Shiva Rea, Cameron Shayne, Jo Phee and also teaches Anatomy as part of Om Yoga & Raw Yoga Teacher Training. Auckland acts a Kylie’s base but she regularly runs workshops throughout NZ and has recently launched her online teaching platform. She believes it’s important to move the body in a variety of ways, and that handstands are a great way to tap into our inner child and unlock our potential as we learn to release our fears.